Get E-mail Alerts When Brady Campaign to Prevent Gun Violence Sends news releases. The Brady Campaign to Prevent Gun Violence is a national, non-partisan organization dedicated to creating an America free from gun violence. The Campaign, in conjunction with its educational affiliate and its grassroots component, respectively the Brady Center to Prevent Gun Violence and the Million Mom March, has a comprehensive, multi-faceted approach to stemming America's gun violence epidemic. 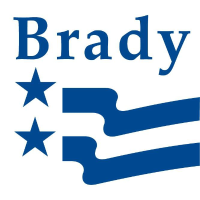 The Brady Campaign to Prevent Gun Violence (BCPGV) works with law enforcement, public health, religious, and community groups across the country to strengthen and protect federal, state and local gun control laws, but does not seek to ban all guns. BCPGV has more than 400,000 members nationwide, making it the nation's largest citizens gun control lobbying organization. Expertise: Firearm control; Handguns; Assault Weapons; Right to Bear Arms; Weapons Victims; Second Amendment; Brady Bill.